Denim Print Front High Slit Maxi Top. 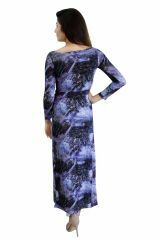 This maxi top is made of high quality strechable fabric. 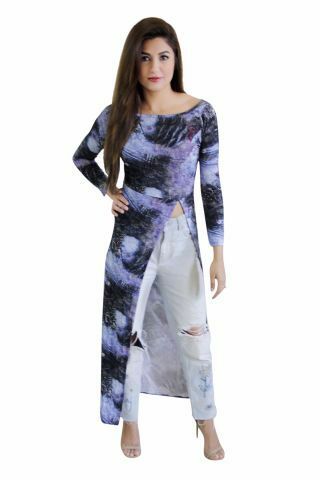 This denim printed full sleeves top has a waist long high slit at front side. To make it look trendy, team it up with denim shorts or jeggings.